Police are continuing its searches for Leah Croucher, who went missing from Milton Keynes ten days ago. Leah, aged 19, was last seen in Buzzacott Lane in Furzton, just after 8.15am on Friday (February 15). She was walking in the direction of Loxbeare Drive and Chaffron Way. Leah was reported missing by her family, who last saw her in Quantock Crescent, Emerson Valley, in Milton Keynes, at around 10pm on Thursday (February 14). She was reported missing to the police the following day. Chief Inspector Neil Kentish said: “It is now ten days since Leah vanished from Milton Keynes. Leah was last seen in Buzzacott Lane in Furzton, where she was captured on CCTV at about 8.15am. “We have received a significant number of calls from members of the public, who have come forward with information, all of which are being prioritised and investigated. 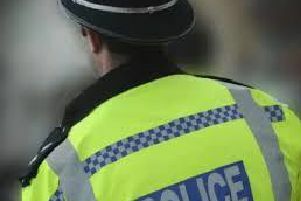 “I want to make a new appeal to the public today to check your gardens, sheds and garages, especially residents in Emerson Valley, Furzton, Shenley Lodge and Knowlhill. “Members of the public will continue to see police activity in the city, as our searches continue at Teardrop Lake and areas of Shenley Lodge. "Our searches have included the assistance of a marine unit, helicopter and police dogs, as well as volunteers who distributed leaflets across the city at the weekend. “MK Dons Football Club have also supported our investigation by running our appeal on their big screens at their match on Saturday. “We also have a significant amount of CCTV enquiries ongoing, with thousands of hours of CCTV recovered and being reviewed. “I want to thank everyone for their hard work so far, it really is appreciated by Leah’s family, who just want her to be found safe and well. “Anyone with any information about Leah’s disappearance is encouraged to contact police. You can visit our dedicated website for this investigation, which is https://mipp.police.uk/operation/43H218A55-PO1/call 101 or visit a police station, quoting 43190049929. “Just a reminder of Leah’s appearance; she is white, slim, with below shoulder length brown hair and sometimes wears glasses.